Tim is quite involved on the native scene. To date, Tim has done several fundraisers on different reserves across Western Canada. His show is embraced by the native community for so many reasons: their love of laughter, music and Tim's knowledge of their culture. The fact that he speaks a little Cree also helps. "We appreciated your professional approach, great humour and your ability to emphasize and communicate with your audience." "Tim is a wonderful performer and a great person to work with." 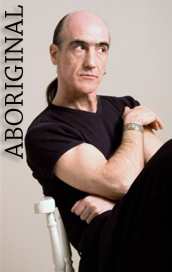 On September 22, 2004 we had invited Tim Koslo to come and perform at the Ahtahkakoop First Nations school gymnasium. The Elvis and Shania Twain Impersonators were well received by the audience that night." "In the morning and afternoon of this date Tim Koslo had entertained grades 4-8 and 9-12 respectively. His use of art work, music and comedy captivated both groups as he touched on the lifestyles that some individuals sometimes wrongfully choose." "His unique delivery affected the emotions of the teachers, students and parents attending both performances. Clearly the 'Living drug and alcohol free' theme encouraged and strengthened those who had these problems and those in recovery and healing." "I truly believe that Tim Koslo has a unique style of relating to young people as well as adults. Also, anyone who has had an opportunity to see him perform will leave with a sense of well being and encouragement while working toward ones own healing."